Viacom is appealing the decision of the New York Federal Court which granted Google’s (YouTube) motion for summary judgment that it was protected against claims of copyright infringement for videos uploaded to YouTube by the Digital Millennium Copyright Act’s safe harbor provisions. 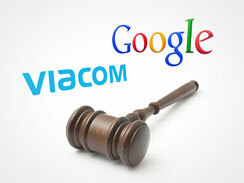 Viacom believes that Google is not entitled to the safe harbo r shield due to Google’s so-called “intentional exploitation” of thousands of Viacom’s copyrighted works. Google believes that it is entitled to the safe harbor since it took down the copyrighted files when properly notified of their unauthorized postings. Interestingly, Viacom has apparently hired Ted Olson, of Bush v. Gore and the challenge to California’s Proposition 8 fame, to represent it on appeal.